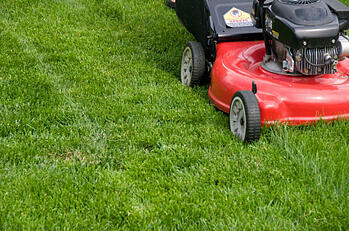 During the spring season, the grass is growing which means another chore is added to your already busy schedule. If you are a new home owner, or just looking to upgrade your mower, here are some things to consider. Who will be doing the mowing? Mowers are built from light duty to heavy duty and everywhere in between. Many of the heavy duty mowers carry more weight and can be difficult to operate for people with less strength. You should look for a mower that fits well for everybody that will be cutting your lawn. How many bells and whistles do you need? There are many technological advancements that have been added to mowers in the past few years. Some have electronic start, mulchers, baggers, etc. Electronic starts can be good for people that have trouble using the pull string to start. Mulchers are great for grinding up leaves and clippings to add back to your lawn. Bagging is a practice that is common, however it is not encouraged because you are removing valuable plant material that can be recycled back into the soil. Self propelled mowers are very helpful especially for areas that have hills. I recommend all mowers to be self propelled, unless you are really looking for a workout! To ride or not to ride? Riding lawn mowers can be very handy for large areas, however if you don’t have a large lawn, a push mower might be a better option. Push mowers generally give you a greater turn radius and can get into tight spaces. Some homeowners will use a riding mower for the large areas and then a push mower for areas around trees and landscape beds. Look to the future! Many people don’t consider their lawn mower when looking to their long term life plan. If you plan to move into a home that has a large lawn, a riding mower might be something to consider. If in the near future you may be reducing your lawn size (or removing your mowing entirely), you might consider a push mower or even a lawn care service. Mowing is one of the most important cultural practices involved with lawn care. Mow high and mow often to keep your lawn looking it’s best!